Welcome to another edition of the Close to My Heart New Product Blog Hop. Throughout this blog hop you will find a variety of great new products that will be available in the Summer 2010 Close to My Heart Idea Book. You can begin shopping on May 1. Now hop over to Adeline’s blog to see her work! Click here for a list of all the blog hop participants and direct links to their blog posts. Wendy Kessler ~ MyScrapbookingBlog.com <—- You are here! 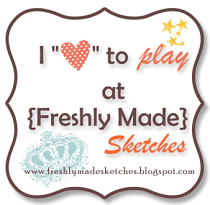 Studio J is the new online design software available through Close to My Heart. 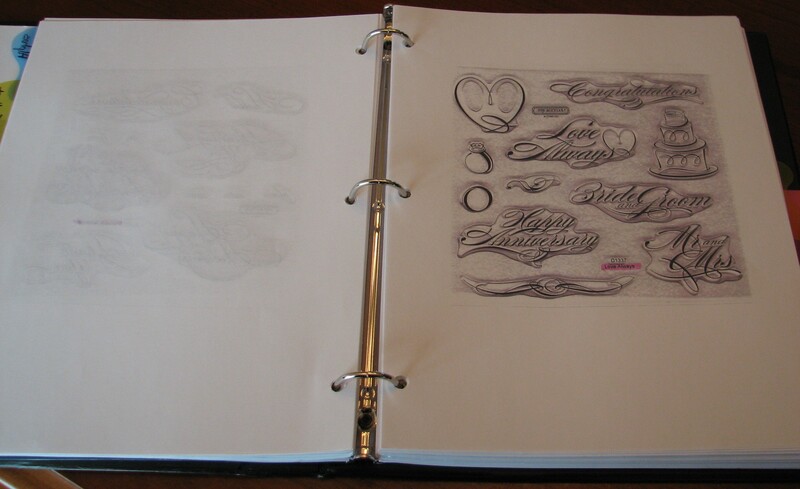 It is great for all types of scrapbookers from beginners to advanced. You can easily create custom-printed two-page layouts using Close to My Heart’s foundational scrapbook patterns, exclusive color palates, and theme designs. All you need to get started is an active internet connection and some of your favorite photos. There is not software to download, install, or buy. The program is online and available to everyone. It costs nothing to try out, just create an account and login. You can try it out here now! Don’t miss this Special Introductory Offer! For 5–9 layout purchases: Receive a pack of 5 Memory Protectors free! For 10–20 layout purchases: Receive free shipping/handling plus a free pack of 5 Memory Protectors for every 5 layouts in your order. Click here now to check out Studio J and see for yourself how fun and easy it is to use!!! I got together with a group of friends to bring you this blog hop and share ways that we organize our scrapbooking supplies. We hope that these ideas will help and inspire you to get more organized yourself. Scrapping is definitely easier when you can find your tools and supplies! My post is focusing on organizing your stamps. I found this set of drawers at Lowe’s that works perfect to store my CTMH stamps. Unfortunately, I don’t think they carry it anymore. You could do something similar with any drawers or I also like to keep my stamps in baskets like at the top of the picture. Baskets are fun and come in many shapes and sizes and it is easy to flip through the stamp sets. I have my stamps sorted alphabetically by name. This makes it quick and easy to pull out the ones I use often and know by name. Something else I do is flip the stamp set around in the envelope so the images face the front. With my current system it doesn’t matter much but before I had my stamps cataloged this made it easy to flip through them and see the images. The easier they are to see, the easier they will be to find and use! 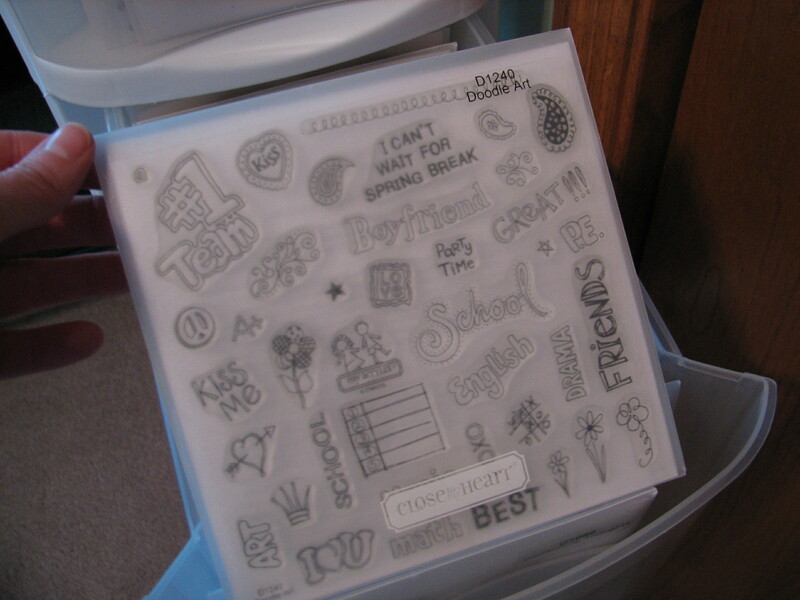 The best part of my stamp organization process is my binder where I have made a catalog of all my stamps. When I used wooden stamps I actually stamped all the images (this is a lot of work) but for my acrylics I just lay the stamp set on my scanner and print. I do one set per sheet because as a consultant I go through a lot of stamps and do a lot of buying and selling. This system is easy to keep updated. My previous catalog I had the stamps on 6×6 cardstock pieces and they were on the front and back. That was hard to update. 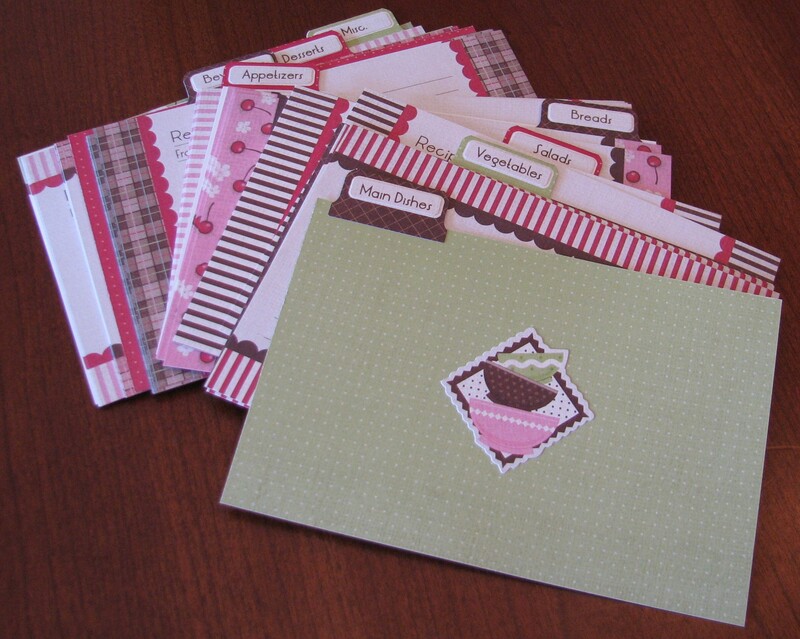 In my new catalog I just make a copy and add when I get a new stamp set and I toss the sheet when I get rid of one. When choosing the categories for your own catalog, think about how you search for stamps and what you have in your collection. My categories are Alphabets, Sentiments, Flowers, Holiday, Misc. I have a flowers section because it’s an obsession. You may not have this issue 🙂 but you may have a shapes or backgrounds section instead or in addition to some of the categories I have. For wooden stamps you can store them in short drawers so you can see all the images. I used this system before I went to all acrylic. I had an iris cart and the stamps were laid out in the drawers so I could open a drawer and easily see all the stamp images. I had each drawer organized and labeled by category. Good luck and I hope you find an organizational style that suits your needs. What works for one person may not work for the next but the one thing that holds true for us all is that we work better when organized! 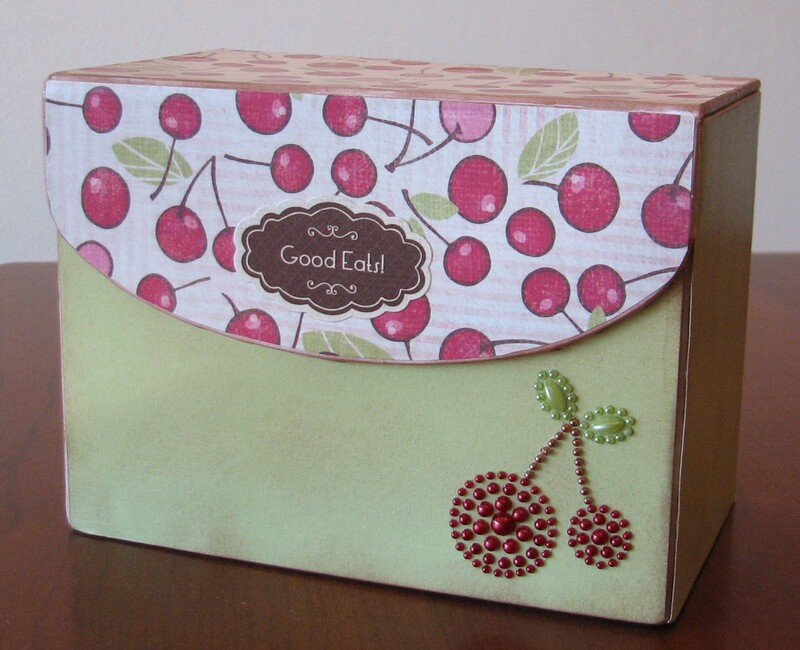 Now hop to Ramona’s Blog and see what she has come up with for ink pad storage. 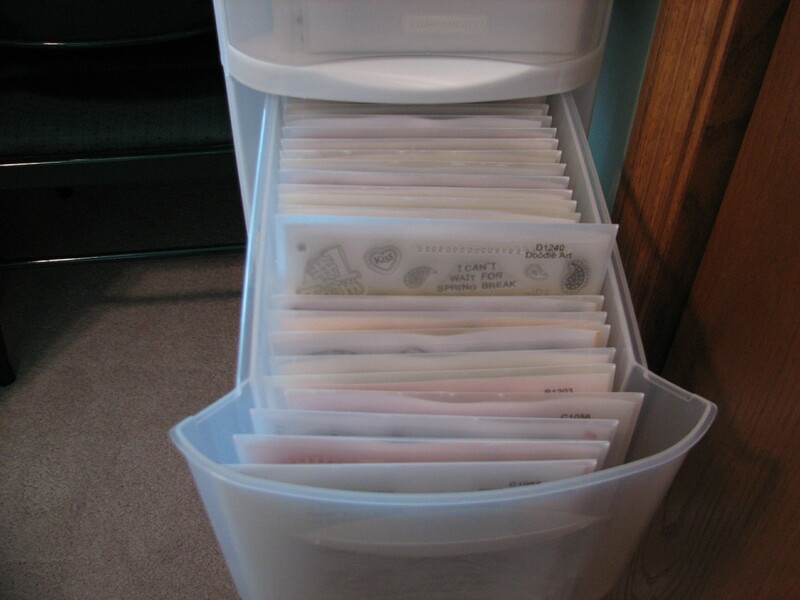 Stamp Storage – Wendy K. <—–You are here! Pen & Pencil Storage – Jeanne M.